As time passes, we move farther away from the historic the turning point in the war on global terrorism that was reached following the events of September 11, 2001. This turning point in global comprehension triggered the perception that terrorist events are not merely the result of local disputes like the one between the Palestinians and Israel, but rather global phenomena of vast dimensions, involving radical Muslim forces the world over. The present-day situation is one of “the suicide-bomber living in our midst”. In countries around the world, hundreds of civilians are being killed annually in terror acts perpetrated or supported and abetted by their fellow citizens. Generally speaking, the phenomenon of is found generally among members of the second and later generations of immigrants and young converts to Islam, those who were born into the all absorbing democratic reality, and who view themselves, rightly, as citizens to all intents and purposes; because this is the sign of good, healthy absorption. However, due to Muslim religious radicalization, the failure to institute checks and balances, and as a result of the fact that the State respects freedom of religion, radical spiritual and religious leaders have exploited the gap in the fence while taking advantage of the values of democracy in order to encourage their charges to “cross the lines”. This is a cynical exploitation of democracy since, in the eyes of the faithful, religious law prevails over the laws of the State. Despite this alarming phenomenon, our counter-measures remain mostly reactionary and seeimingly unchanged in the aftermath of 9/11. Democracy, by its very nature, is a relatively weak and vulnerable regime,suitable for citizens for whom living peacefully in accordance with agreed and largely humane values is a matter of importance and accords with their wishes. Yet at the same time, the rules of democracy permit the right of protest and the exhaustive use of other basic rights. Even as things stand, most democratic laws may be subject to appeal and reconsideration, in accordance with the varying power of the relative majority. And in a totalitarian regime, the code of laws is rigid and uncompromising, far more closely approximating a state of “black and white”. Hence, in democratic countries, the security organizations and especially the police and the prosecution apparatus are very weak. In the totalitarian states, however, the security organizations distinctively wield enormous power. This is the situation in which Muslim radicals operate. Mosques and humanitarian organizations are misused for unlawful, terror-supporting activity, knowing that the authorities will hesitate to act against such institutions for fear of violating their rights and statute. In the case of the “charity box”, for example, which is ostensibly intended to support the weak but actually serves in practise to finance terror, mothers are paid a “generous grant” for sending their children to operate as homicide bombers. Nations that uphold the freedom values of democracy have an objective problem with executing aggressive law enforcement acts within a problematic minority. We endeavour, quite rightly, to take action solely against the “bad guys”. This fact is exploited by the radical Muslims both in Israel and elsewhere, and therefore, most of the preparation and planning for perpetrating of acts of terror takes place within the community and its religious institutions, which provide mutual cover and concealment. As democrats, we try not to impart to the war on terror the character of a religious war. Despite our efforts, the other side emphasises the subject of Islam and religious war. All injurious declarations targeting Jews and the West happen only against an Islamic religious backdrop. Terror, like serious crime, is not an inevitable natural disaster, both can be handled and both can be rooted out. As an interim stage, it is certainly possible to minimize the phenomenon and its influence on our daily lives and our sense of personal security. The fact that to this day there is neither any global consensus for defining an act of terror, nor any international system of laws against terror organizations, is directly and indirectly beneficial to radical organizations in carrying out acts of terror in the host country. The regularly advanced argument, which ostensibly topples and cancels out any discussion or any reference to migrant or minority populations is one that reduces the phenomenon to the level of “weeds” that have crossed the “red line” and are activating terror against the host state. And, in the same breath, the proponents of this view cite human rights, freedoms of speech, religion, organization and so forth. In every criminal terror event perpetrated by minority members, proponents of the defence of minority rights will allege injury to the various rights of the perpetrator, in order to protect him from being penalized with the full force of the law for the criminal act he has committed. A principal and integral part of the marketing strategy of terror organizations is that of gaining influence and sympathy among the “local” populace, and influencing public opinion and public opinion shapers, so that they in turn will influence the decision makers. The terror organizations want a frightened public that sees only the isolated incident and not the whole picture or the organizations’ strategy. This view will influence the decision makers and redound in favour or the terror-mongers. The entire subject of democratic rights can be and generally is widely manipulated in order to elicit empathy on the part of many segments of the public; and generally speaking, perception and distinction tend to be one-sided, tipping in favour of the rights of the “unfortunate and oppressed”; and no one even momentarily bothers to remember the rights vesting also in ordinary citizens. 1. Natural rights are rights vesting by force of law in those who are citizens of the State by birth. These are basic rights. 2. Vested rights are rights all or part of which are granted to temporary residents, workers or migrants to whom the State has permitted entry. Immigrants get full rights and are even entitled to benefits that a rank and file citizen does not merit. When a migrant enters the host country, it is as if he declares that he takes upon himself the laws of that state and its governing principles. Activating terror and targeting of the citizens of the host country are offences that must automatically negate the rights granted him. I am prepared to accept this. They are within their right to express their opinion and our duty is not to become confused but to see the situation for what it really is. Every government must preserve the personal and physical security of its citizens - not only the minorities but also citizens holding natural rights. It is the duty of government to put a stop to any activity that endangers the lives of its citizens; it is its duty to use reasonable force under the specific circumstances of the case against whoever endangers the lives of innocent citizens. We are witnessing a phenomenon of second and third generations of Muslim immigrants, especially in European countries, who take part in and actively assist the perpetration of terror attacks. The riots in the banlieues of Paris, the burning of hundreds of automobiles, the use of severe violence against innocent Parisians, was a disturbance or the peace or a radical nationalistic act on the part of second-generation Muslim immigrants in defiance of the authorities and under guise of extremist religious values and for the sake of promoting such values. Following the terror attack on the London railways, more than 25% of Muslim residents, British citizens, domiciled in London answered, in response to a survey, that they agreed with and supported the perpetrators of the attack. In a survey in British university campuses among Muslim student it was found that one third supported murder in the name of religion, and 40% were in favour of imposing the laws of Islam in Britain (Moran Weiss, 27/7/2008). “One third of Muslim students in Britain believe that murder on the name of religion is justified. This emerges from a new survey conducted among Muslim students in Britain. The survey, by YouGov, was conducted in 12 universities including Kings College and the Imperial Collage. The chosen universities were ones that have a high concentration of Muslims. The survey was published in the Daily Telegraph”. In the case of Muslim migrants, these are empty slogans and mere gibberish, whose object is to achieve their goal of unseating the government in power wherever they have settled and creating a radical religious autonomy, since, after all, it was they who, of their own initiative, migrated in order to improve their quality of life. Democratic freedom of expression by means of legal acts and pushing the envelope of democracy should be respected and enabled in favour of creating a protest in relation to such allegations. But what is unconscionable is participating in or initiating or consenting to the perpetration of terror acts and acts violating the law of the land and targeting human lives, the lives of the citizens of the State that has absorbed you, the migrant, on political or religious grounds. The first question I ask any Chief of Police on my visits abroad is whether he knows how many mosques exist in his territory, and how many of them were built in the past three years. And the question I will put to his Intelligence Office is – what does he know about the community Imam of each of the mosques, and does he have intelligence sources within the mosque or in the Muslim community, and does he know what is being said in Friday sermons or religious lessons. We in Israel experienced a terror attack that killed Israeli citizens and was perpetrated by Muslim British citizens arriving from such a community and such a mosque. The events of October 2000 are defined by minority Muslims as taking up the struggle and demonstrating against deprivation, adverse discrimination, theft of land, poverty and so on and so forth. All of these complaints are, as they are also in Europe, very well constructed cover stories intended to be acceptable to innocent public opinion in the West, which champions the values of democracy and the principles of equality of rights. Am I, by chance, the only one to remember that the events of October were staged in a manner fully coordinated between public leaders belonging to radical streams of Israeli Arabs and the leadership of the PLO? The Palestinian excuse for commencing the "intifada" was that Prime Minister Arik Sharon had ascended the Temple Mount. This excuse galvanized the entire Arab sector in Israel and Israeli Muslim nationalistic radical organizations, as a single entity, leading to the violent struggle that developed at top speed at dozens of focal points throughout Israel. Did this really take place against a background of deprivation and budgetary demands? Or did it imply a declaration of radical nationalistic solidarity, being both illegal and not generally accepted, with Palestinian terrorism activists? This insane rampage on the part of minority members was directed against Jews alone. InUm El Phachem, Wadi A'ra (Arab town), gangs of youths stopped motor vehicles and examined identity cards, and if the identity card said you were a Jew, may the Lord have mercy on your soul. Muslim Israeli citizens mark the “A Naqba” (“Disaster”) Day of the Palestinians, the disaster being the founding the State of Israel; yet on the other hand, any proposal regarding an exchange of population and territory with the “Palestinian brothers” under the aegis of any peace agreements, encounters horrified reactions on the part of those same Muslim Israeli citizens. Violent acts against policemen and government symbols in the area of Muslim minority communities are multiplying. Here, too, the friction is a camouflage for violence against the symbols of authority, under guise of social protest against a social, political, economic background, whereas in fact, the exceedingly violent character of the protest derives from a nationalistic rather than a criminal background. Israel Television recently published a write-up dealing with the robbery of a fuel station and a retail outlet in the north of the country, in which a young Jewish gas station attendant was brutally attacked with an axe by two assailants from a neighbouring village. A Druze or a Muslim attendant would not have been attacked. This was no isolated incident in our country. Violence against the symbols of authority is not new. Violence by Muslim minority members is directed primarily against Jews. Minority members will not steal the motor vehicle of a Muslim; and if they have done so by mistake, the car will promptly be returned with an apology. The absurdity recurring in countless events is the situation in which violent riots erupt between hamullas (clans) or rival Muslim groups, people are injured, the security forces are call on to intervene and separate the warring factions and to prevent additional casualties. But, wonder of wonders, as soon as the security forces arrive, the real enemy has materialized! And both warring factions now join forces and start deploying common violence against the security forces that have responded to calls for help by coming to provide assistance. This is a regular scenario among the Arabs of Israel and also in the Territories. A policeman standing at a road block at Mizpeh Ramon was killed in a hit-and-run by Bedouin sheet metal thieves; a car ran over and killed a policewoman posted at a road block erected against drug dealers in Ramle – Lod City. This happened not only because they were trying to prevent a crime, but primarily because of their being Jews, a symbol of the rule of Israeli law that operates in a minority neighbourhood some of whose residents in drugs under the protection of the community; or in an area in which a violent and nationalistic minority is attempting to dictate the rules of the game. Jewish neighbours of minority communities in the north and south of the country suffer and complain of manifestations of theft and violence directed against them. Stories relating to the behaviour of minority members in shopping malls in the north and south are no secret. The death of a small girl killed by an Al-Terrain Vehicle being wildly driven by a Muslim youth on the Day of Atonement, within the Jewish community where she lived, can be considered a road accident. The background is that of a sneering challenge against Jewish neighbours during the fast of the Day of Atonement, on a religious and nationalistic background, with the aim of demonstrating who the controlling force on the ground is. Internet reports of rioting here and there by minority groups, of violence outside night clubs and bars in which minority members are involved, they too, are nothing new, either in Israel or, of course, in Europe. We see a radical and belligerent action pattern whenever of the symbols of law and order (policemen, inspectors, tax authorities and so forth) enter into a minority community, the entire village enlisting to attack the emissaries and attempts being made to set free detainees belonging to the village. We know that every attempt at law enforcement in minority communities requires the authorities to deploy as for a combative operation and not a mere tax collection act, for example. The government today has neither the courage nor the wisdom to deal with the necessary firm resolve with the familiar phenomenon of rampaging and violence on the part of minority members, especially in the northern and southern regions, and of course in any concentration of minority members, such as various neighbourhoods of Ramle and Lod Citys. One ways to duck the discussion on minority violence is to cite shocking examples of violence by new immigrants, originating from Eastern Europe and the former Soviet Union, and violence by Ethiopians, advancing n explanation to the effect that what we are contemplating is a culture of violence. I distinguish between violence by minority members and violence by groups of immigrants in the Jewish population. Violence and delinquency on the part of people hailing from the former Soviet Union and Ethiopian immigrants derives from a different background, one of “pathological uprooting” and, in simpler terms, severe absorption problems, non-acceptance by veteran Israelis, and a sense of being persecuted on racist rather than nationalist grounds. The fact is that in Russia/ Ethiopia they suffered because they were Jews and here they suffer because they are Russians/ Ethiopians. Also, the rising tide of violence among Israel-born youth stems mainly from different motivation and causes that have nothing whatsoever to do with nationalism. We in Israel are highly sensitive to discrimination on a religious background. We experienced it in the not so distant past when we lost half of our number in a brutal, murderous, genocidal campaign of annihilation waged by a large number of regimes, merely because of our being Jewish, while a large part of the world looked the other way. Despite our sensitivity we are not exempt from the phenomenon of racial discrimination, both singling out particular communities and between the religious and the secular amongst us. Israel is a nation of Jews having arisen after the Holocaust with aim of ensuring that Jews would never again fall victim to religiously motivated genocide, and that within the Jewish state there would be room for minorities of other faiths, who would be granted full freedom of worship and would enjoy the rights bestowed by a democratic regime, even enjoying exemption from certain civil obligations. Yet in spite of our good intentions, we in Israel are very clearly seeing the attitude of the Muslim minority, including the Bedouin and recently also the Druze that are, with enormous rapidity, becoming increasingly radicalized, are distancing themselves from the Jewish majority, are putting up shows of resistance and challenging Israeli governmental values and symbols. And we are a weak democratic society, fearful, indeed “quaking in our boots” about what the others might do, what the world might say. What will happen tomorrow? Actually, we are doing nothing, and thereby only further aggravating and boosting this radicalization. The absurd situations we encounter in Israel in our modes of dealing with the problem are astounding. The family of an Israeli Muslim suicide bomber, who killed several Israelis at the Nahariya railway station, receives a pension from the National Insurance, its home was not destroyed and the family carries on with its ordinary life in the State of Israel and within their own community. They may and very likely do in fact use the services of Israeli Rail form the nearby Nahariya station to their place of residence, and to make excursions to Tel-Aviv. 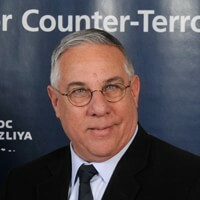 Most of attacks in Israel have been carried out with the assistance of Israeli citizens, residents of East Jerusalem or Israeli Arabs who exploited their being identified Israeli citizens in order to aid and abet suicide bombers in reaching their destinations and were also involved in helping to transfer explosives into the territory of the State of Israel. The authorities have acted and continue to act against these helpers with relatively soft kid gloves. The community, the population hub and even the members of the hamulla and the clan do not take umbrage at a hostile action by a member of their family and in most cases display public understanding and sympathy for his goings on, while once more accusing the government of inflicting some deprivation upon them. This would be one item out of the ready-made list of deprivations regularly trotted out on such occasions. The family of a terrorist in East Jerusalem had no problem openly appearing on national television and praising and applauding the terror and of course justifying the man’s acts. Of course, there is no problem. Awaiting him in his mailbox at home is a fistful of unemployment benefits or a grant from the National Insurance Institute … on the basis of “his wife is a widow and his children orphans”. A terrorist who entered into the" Mercaz HaRav" Yeshiva in Jerusalem and killed 8 yeshiva students not only intended to perpetrate an act of terrorism but deliberately intended an assault on a central Jewish religious symbol in Jerusalem and Israel. Israeli courts do not give permission to dissolve a transportation contract entered into with a company in which a terrorist was employed, a family company belonging to a hamulla, even though all employees of the company and the family were seen in public in the mourners’ tent displaying joyful conduct and satisfaction at a member of the family having become a “Shahid” or martyr. The terrorist’s home, to the time of writing, has not been destroyed or sealed and probably never will be. Today we can identify a pattern of behaviour similar to and even worse than that of second generation immigrants in Europe towards the symbols of government and injury to citizens; and the background is identical, namely radical Islamist nationalism camouflaged as criminal acts. Despite the difference between our situation in Israel (Israeli Arabs are citizens of the State, a minority, but are not immigrants, being native to the country and holding natural rights) and second generation immigrants elsewhere in the world, the background is identical; and religious radicalization is the pivotal motive. The Muslims want to have it both ways – religious extremism on the one hand, accompanied by violent acts of protest, and, on the other hand, demands for civil democratic equality – likewise accompanied by violent acts of protest. And as I have stated, these acts of nationalistic terrorism are disguised as criminal acts of disturbances of the peace. The Chief of Police of a capital city in Europe which sustained a terrorist attack bearing these hallmarks sought to consult me as to how to relate to the Muslim minority in his city. I replied that he should relate to the Muslim community in his city as a whole as citizens having equal rights; but at the same time he must view that community with suspicion and keep informed in real time as to what is going on within it. The proper way to act in this delicate situation is by bringing the community to an understanding that it is in its own interest to abide by the rules and laws of the State; and that if negative acts within the community continue, then the entire community will necessarily suffer “inconvenience”. It is, after all, my duty, as representing the rule of law, to protect the population and the citizens within my jurisdiction as a whole; and if I spot the source of the problem as emanating from within a certain public and I cannot isolate the specific elements involved, I shall be forced to act against the problematic territory; and the ones to suffer will be all those living within that territory. And since radical Muslims are not impressed by threats or intimidation, actual measures must be taken. The second generation of immigrants, just like minority members in Israel, are thoroughly familiar with Western culture, they live it (as and when they find it convenient to do so), they dwell in our midst, they are fluent in our language, they are versed in our culture, they are familiar with our sensitivities, our religious principles, and with the essential elements of the do’s and don’ts in our society; and they are precisely and fully aware of the rules of democracy and the boundaries of the freedom of expression and individual rights. Every event of disturbance of the peace, collision with government forces and violent acts raises the bar of violent response and fans the flames to greater height in readiness for the next event, meanwhile, of course, setting the “red line” of the permitted and the forbidden in a democracy farther out then ever before. We, by contrast, have never taken the trouble to study their culture, language, or religious principles, and we are not familiar with their culture-and-religion dependent sensitivities. We are thus hoist by our own petard, having, by this neglect, created a gulf that operates to our detriment; and we have enabled the hostile forces in our midst to set the rhythm of the conflict and the level of escalation of violence. All we do is to react with Western culture-dependent responses. The way I have proceeded in instances in which “resolute action” was called for was to act strictly in accordance with the law, but only the dry letter of the law, giving no quarter, allowing no discounts, and showing no consideration (except in humanitarian terms) or understanding. In this way I have tried to show that even though I possessed the authority and the lawful power to act in accordance with the letter of the law, I did not intend to use the full force of the law, provided the attitude proved mutual and a mutual understanding was reached between us. For example, instituting motor vehicle inspection barriers to check licenses and insurance, and setting them up simultaneously at all entrances and exits of a population hub, is a perfectly lawful procedure. Other combinations of elements might be traffic inspectors examining the good order and condition of motor vehicles, checking for liens and creditors on the vehicle, and detectives checking for the possible presence of illegal drugs and weapons; and one can go on to list several other perfectly lawful components. It is important, however, that the town and the community understand why such measures are being imposed. This must be done by a determined information campaign. The messages the townspeople will get will be clear and uniform, and it must be plainly stated that we desire to reach dialogue with the town’s leadership and establish rules of community conduct, based on approaching equilibrium with regard to the laws of the State and sensitivity for the protection of human life and quality of life, including by them as citizens with equal rights. They must be made to understand that the object is not to punish; however, if the peace is not maintained “on the other side”, and a sense of security is not achieved, then life is not going to proceed peacefully and tranquilly for them. Our problem in the Western world is a deeply rooted one. We go about dealing with a dilemma whose motif is cultural, mental, Middle Eastern, extreme Muslim religious, in accordance with our Western mindset and the laws of democracy; whereas the radical Muslims in our midst choose a dichotomous approach to the principles of democracy and the values of their religion. This approach does not take into consideration or prompt them to act in accordance with the Western mindset. “Religious wellbeing” is deliberately used for cultivating criminal radicalism and terrorism within the bounds of the community, well concealed from the sight of the authorities. But the cry raised against us, of course, will be a plaint of adverse discrimination, religious persecution, restriction of civil rights and inequality. Unfortunately, not a few innocents stumble into this trap, especially those who bear aloft the banners of equality and the prevention of deprivation. Preservation of individual freedom and the values of democracy; that is how things operate on the ground, as a rule unilaterally, inclining in the direction of the ostensibly weak and persecuted party. At the same time, one must understand that burying one‘s head in the sand and ignoring the problem leads to a rapid exacerbation of the level of violence and the spread of disaffection; and causes more citizens to join the circle of hostility. We must deploy a great deal of firm-handedness and resolve in dealing with this phenomenon. The solution is by no means simple and it differs as regards minority communities in Israel and second generation immigrants in Europe. The problem of the minorities in Israel can by solved by a show of firmness on the part of the authorities. The minority population in Israel must be given full rights as citizens, steps must be taken to close economic gaps rapidly and with a sincere desire to improve the atmosphere and reduce the gaps, as of right and not by sufferance. We must study Islamic culture and try to identity the sensitive points in the faith, in the values and in the way of life and act against such weaknesses solely in accordance with the law. The most precious and important matter to Muslims is family ties, concern for members of the hamulla and the community; and in the second circle, concern for all Muslims and especially for the “Jihad fighters”. Paradoxically, families of terrorists who are in gaol have a higher economic standard of living than do most cases in which the prisoner is an ordinary citizen. The family of a suicide bomber receives large sums of money estimated at tens of thousands of dollars and a special elevated status. Samir Kuntar, a terrorist who perpetrated an act of terror at the age of 16.5 as the emissary of a fly-by-night organization that no longer exists, is being released today after 30 years as a hero and a senior terrorist of Hezbollah (Kuntar is a Druze). The policy of “minimizing the damage”, reducing the dimension of terrorism, focusing on certain such regions and utterances, attest to an erroneous and fundamentally defeatist approach. Even if in actual fact minimizing the damage is the desired result at this temporary stage in time, the policy must be one of zero tolerance for terror. The focus must be on exterminating, eradicating and annihilating terrorism. Uncompromising war must be waged on terrorism. The entire subject of the human rights of the terrorist and the human rights of an innocent, uninvolved individual must be balanced. The State of Israel proceeded to “minimize the damage” in the Gaza Strip and as a result more than 2,500 rockets have targeted the residents of southern Israel over the past 8 years, which is unconscionable. Abandoning innocent citizens for the sake of the rights of those who are killing them? We shoot at open areas in the Gaza Strip… Can one blame the inhabitants of the south for feeling that they are living in a southern state? The fear and dread that take hold of innocent citizens in face of terror derives for the most part from the absence of any sense of security or faith that the government will take the proper steps to distance all dangers from their threshold. This is the situation in Israel and in most countries of the world. And then their paralyzing fear changes citizens and they emerge as a public opinion force that supports the demands of terrorism in order to get some peace. And they mistakenly think that in that way, they are protecting themselves. The strategy of terrorism is build in a continuous chain of achievements, in which every “peak” situation of today constitutes the floor for the demands and behaviour of tomorrow. By our panicky and irresolute behaviour, we boost terrorism and enable it to push the “red line” a little further every day. We are living in a reality in which we set limits on ourselves, drawing a circle beyond which we dare not step; our governmental conduct enables terrorism to rear its head. Radical Islamist terrorism cannot be dealt with by dint of activating Western culture and the laws of democracy. It is a sad joke, but the fact is that to date no possibility has emerged of reaching international consensus as to what constitutes terror. The terrorist organizations build their strategy on this behaviour, and are quite right to do so. Ahmedinejad travels to New York and is welcomed with royal honours, because he is coming to the United Nations and not to New York! If we try to prevent him from entering the United States, all the earth’s bleeding heart liberals will at once get up on their hind legs, since they are far better organized than we are, raising the bitter cry of the neutrality of the United Nations Organization. Will Israel’s elder statesmen please remind me when it was that the UN last acted with neutrality as far as Israel was concerned, or Jews, or terrorist organizations or terror supporting nations? The President of Syria and the President of Iran may stand in the centre of New York and threaten and promise acts of terror against the American, the Israeli and the Western enemy, and assure the world of a direct hit on the President of the United States, while the New York police provide security guard for them in the name of the democratic values and exhausted and the fullness of rights vesting under the American constitution, but that do not exist at all in the Iranian constitution. We must act in accordance with the Iranian constitution and not the Western one. We must proceed in accordance with the values of Hezbollah and the Hamas and not with the direction dictated to us by those calling themselves “champions of (unilateral) human rights”. The terrorist organizations know that no practical reaction will manifest, Western “bleeding hearts” will see to that… no terror organization or terrorist state would risk mounting a provocation if there were so much as a 0.5% chance of an appropriate response. To this day there is no authorized global code of laws for combating terrorism. There is no genuine, effective cooperation in real time, no defensive or offensive intelligence; and over and above all the lip service and the slogans there is no sense of joint responsibility. What agreed international organization is empowered to take global action on behalf of the war on terrorism? What more needs to happen in our world in order for us to get a grip and internalize the fact that there really is a need to unite for the purpose of eliminating terrorism by instituting all the elementary measures necessary for succeeding in this task? On September 11, 2001, we did not succeed in this task. Hundreds and thousands of innocent citizens continue to be killed in all parts of the world, merely because the war on terror figures more positively in the bellicose declarations of Western leaders than in global operational activity against terror. A similar situation obtains in Europe. We witnessed the pogroms in France; we heard the excuses and justifications mouthed by second generation Muslim immigrants to justify their horrendous acts. We have heard of violent behaviour on the part of minorities in other European nations, and the situation gets progressively worse day by day. Certain areas become “out of bounds” to Western civilians, becoming terrorist dominated, criminalised quasi-autonomies in the midst of major cities. The solution is to take a tough and uncompromising line, to establish coordination among all European countries on the basis of the acceptance of a very simple and vital principle. Every migrant population is obliged, by the very fact of having settled in and immigrated to the host country, to accept the laws and way of life of that country, its principles of government and its norms of behaviour. The very fact of the immigrants remaining in a particular country is proof that this is so. This is because the host country is a democratic regime, and dissatisfied citizens are at liberty to leave, or to fight for an improvement in their status and their citizenship in accordance with legal principles. The perpetration of acts of terror as witnessed in recent years throughout Europe, by minority members, thereby assaulting the very foundations of government, the murder of innocent civilians and all as the result of a radical ideological religious world view, while exploiting their citizenship in order to execute their missions, necessitates just one single drastic action, one that is easily understood and can be carried out in a relatively short space of time. Minority members caught either alive or dead in involvement in the perpetration of acts of terror express, by the very act, their dissatisfaction with the government of the country that has consented to absorb them and enable them to achieve a significant improvement in their living standard, thanks to the supportive platform of the democratic government as opposed to the dictatorial regime in effect in their country of origin. They have betrayed their hosts; they have murdered members of the host nation and must therefore be vomited out of the country and sent back to their country of birth, their native country as recorded in the passports and identity cards of their parents, the original immigrants. The penalty is a fair penalty, and one that does justice with the citizens of the welfare state that granted them asylum. In order for this penalty to be able to be imposed, an international decision must be reached, and, in my opinion, it should be reached in a forum other than that of the United Nations, which had not done enough to help stamp out terrorism and is grossly tainted with vested interests which causes the organization to deviate from utterances and clearly defined acts that unambiguously emphasise the protection of the good and the denunciation of the evil. What is needed is an association of states such as the European Union, the NATO Pact countries and so forth, which will adopt the resolution in a coordinated fashion, will act to see that it is put into effect and will prepare severe sanctions and penalties for Islamic countries from which the migrants came and which do not consent to take them back. Far be it from us interfere in the response of the Muslim nation towards deported families returning to where they came from., There is, as far as I am concerned, no problem if it transpires that the Muslim nation has decide to punish the migrants for having left the country in the first place. But under an international law that nations must adopt, they will be obliged to take such people back. Deportation from the country will basically include all members of the nuclear family, extending up to the deportation of an entire hamulla of terrorists, depending on the gravity of the event in which a family member or members were involved. On the international plane, it is right and proper to arrive at the formulation of a broad-ranging, authoritative, agreed international convention that defines an act of terror, while correspondingly developing laws for combating terror; and, more urgently, agreements must be reached on the subject of the requirement of loyalty on the part of immigrants to the host country, as regards the ban on engaging in terrorism. If anyone is caught violating the laws of the State out of nationalistic motives or supporting terrorism or aiding acts of terror, then he and all members of the hamulla will promptly be deported to his country of origin. In Israel the situation is different; those of the minorities who support terror are Israeli Arabs or Israeli citizens resident in East Jerusalem. Here the situation calls for tough, uncompromising and unequivocal handling. We must all “transmit on the same wavelength” as regards terrorism and violence in our country. There is no room for confusion. Preserving full rights for minorities is not at odds with an unremitting fight against terrorism. There must be a clear-cut, definite decision: violation of State laws, acts of nationalistic terrorism, will be treated as such as not as a road accident (such as in the case of the little girl run over on the Day of Atonement). The real rather than the camouflaged motives of minority members will be examined. Violent assaults on symbols of government are not identical with role playing between offenders and the representatives of law and order. Violence and terrorism are not natural disasters; they can and must be handled determinedly.